For the first time since April 19, the Red Sox have lost consecutive games. To make matters worse, the back-to-back losses have come against their rivals, the New York Yankees. Even worse? The Yankees had the third least wins in MLB coming into the series. 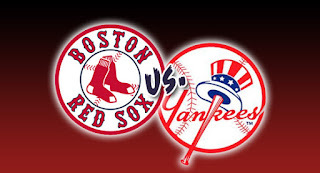 Boston (17-13) turns to knuckleballer Steven Wright to stop the bleeding. Wright has been the most consistent Sox starter outside of Rick Porcello. Wright's 2-3 record doesn't reflect the pitcher he's been this season for the Red Sox. He has not allowed more than two runs in any game this season and has lasted at least six innings in all five starts. In his most recent start, he took the loss against the White Sox, tossing six innings and allowing two runs on three hits. Luis Severino looks to give New York (11-17) its first sweep of the season. Severino is 0-4 with a 6.31 ERA, most recently giving up four runs (three earned) on five hits in six innings in a loss at Baltimore. Jackie Bradley Jr. is red hot and isn't showing signs of slowing down. Bradley hit a solo home run off Nathan Eavoldi in the fifth inning Saturday to extend his hitting streak to 13 games. During the streak, Bradley is batting 16-for-47 (.340 AVG) with a trifecta of three doubles, three triples and three home runs for a slugging percentage of .723. The streak is the current highest in MLB. Right on Bradley's heels is Hanley Ramirez who owns an 11-game hitting streak of his own. He is hitting .333 during the streak and has two doubles and two of his three home runs over the span. In three Sunday games this season, Dustin Pedroia is hitting 7-for-16 (.438). In the two Sunday Night Baseball games on ESPN, he's batting .500 with a double, a triple and two runs scored. He doesn't have an RBI in any of the Sunday games, but it appears when the Sox are on the biggest stage, Pedroia finds a way to shine the brightest.